1919. Or Freemasonry self-convicted. 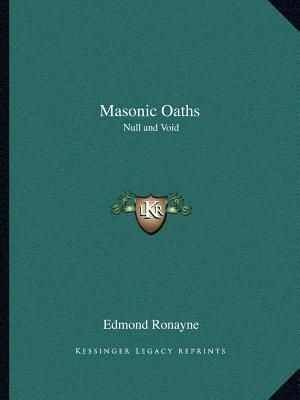 This volume is written by a Past Master of the Keystone Lodge, No. 639, in Chicago, Illinois. Ronayne intended the book not so much to defend seceding Masons, as to enlighten the minds of honest and conscientious adhering members, and so to lead them from the false philosophy and worship of Hiram Abiff, to that glorious liberty wherewith Christ alone can make them free.